Be ready to provide emergency first aid. As a minimum, everyone should learn CPR. It’s a life–saving technique that can sustain life until an ambulance arrives. 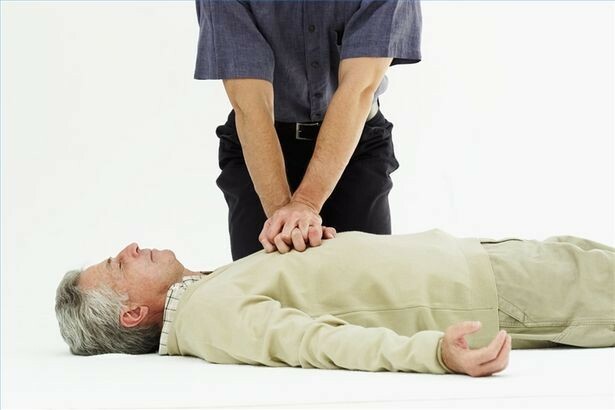 Or learn the wider range of first response techniques in the Provide First Aid course. HRD offers first aid training for workplaces or for individuals and community groups. What do you do if someone is in cardiac arrest? What if the person is unconscious? In less than a day the Provide CPR course gives you the foundation skills to recognise and then manage a casualty who is unconscious and is not breathing. On successful completion of assessment you receive a nationally recognised certificate. Australian Resuscitation Council guidelines recommend that CPR skills are recertified every 12 months. Workplace first aid officers, Provide First Aid is the course you need. Previously known as Apply First Aid, Senior First Aid or Level 2 Workplace First Aid. Provide First Aid is also for members of the public who want to be able to respond to and manage an emergency situation. The course develops the skills and knowledge required to provide first aid response, life support, casualty management and incident management until qualified help arrives at the scene. Australian Resuscitation Council guidelines recommend that first aid skills are renewed at least every three years. HRD offers two training options for first time learners: face–to–face or a combination home study/face–to–face mode. This delivery mode combines personal study/theory assessment with a 1 day face–to–face training session to reduce face–to–face training time. Completion of pre–course study* plus a minimum 6 and up to 8 hours classroom/practical training. Minimum of 12 hours face–to–face training. *Pre–course study involves reading the learner guide and undertaking a written theory test. Current industry standards require that this course is updated every 3 years with the CPR component being updated every 12 months. HRD offers a refresher course combining pre–course study* plus a minimum of 6 and up to 8 hours classroom/practical training. Combination mode: completion of pre–course study* plus a minimum 4 hours practical training. A face–to–face option with a minimum of 6 and up to 8 hours face–to–face training is also available. Learners are assessed through the demonstration of practical skills, participation in role plays, analysis of case studies and a written quiz. You’ll be required to complete 2 minutes of CPR on an adult manikin (kneeling on the floor only, no exceptions) and 2 minutes of CPR on a baby manikin. Some participants may find the physical aspects of this training strenuous. If you have any injuries or physical limitations, please advise us of these PRIOR to attending your course as other arrangements may need to be made. Course duration is reflective of a group size of between 8 and 10 participants. If there are fewer participants in a group, you may find course duration reduced by around 10%.